Located just a 45 minute drive south of Cancun, Playa del Carmen has transformed itself, seemingly overnight, into a sheik Caribbean city with an eclectic flavor. Europeans have settled here and built cafes and other businesses with a distinctly cosmopolitan feel. World class jet setters either own property in the Playacar section or they rent one of the many high end suites available for those who can afford it. Then there are the tourists, those visiting from Cancun, and the backpackers pulling the Mayan trail. All of these combine into a unique atmosphere where people from all countries, all walks of life, and all budgets come together to create a place that can't quite be described to someone who has never been there. 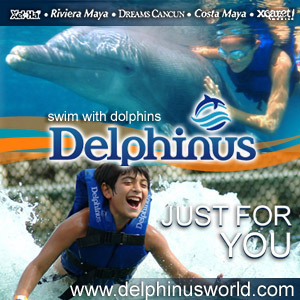 So, if I were forced to choose between Playa del Carmen and Cancun, which would I choose. If you have a week or more to stay, Playa del Carmen is the hands down choice. Why, what does Playa del Carmen have that's so great? The three rules of business . . . location, Location, LOCATION! Cancun's location is great, but the fact that Playa del Carmen has its own shopping, nightlife, & etc., combined with the fact that it is closer to nearby attractions put it in the center of everywhere you want to be. The huge nightlife of Cancun is less than an hour away . . . the ferry which takes people to Cozumel leaves from here, the spectacular beauty of Tulum's ruins, Xel-Ha water park, the ruins of Coba and a biosphere reserve . . . all less than an hour away. All of which is completely beside the fact that Playa del Carmen is beautiful, unique in its look, and has some of the best beaches you will find anywhere. That being said . . . a picture is worth a thousand words . 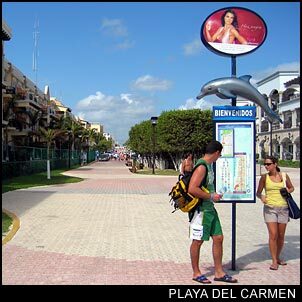 . . so check our Playa del Carmen pictures and you will begin to get a feel for the flavor of this place. If you think you want to give it a try, click on the hotels button and you will find that Playa del Carmen has rooms for almost any budget.